Pore clearing cleanser. Concentrated liquid-to-foam formula helps cleanse the skin of dirt, pollution and excess oil, which can lead to blemishes. Gently exfoliates for smoother, clearer skin. Formulated for normal/oily skin. Water\Aqua\Eau, Glycerin, Sodium Methyl Cocoyl Taurate, Butylene Glycol, Sucrose, Gentiana Lutea (Gentian) Root Extract, Laminaria Saccharina Extract, Algae Extract, Peg/Ppg-18/18 Dimethicone, Caffeine, Anthemis Nobilis (Chamomile), Salicylic Acid, Arginine Cocoate, Ppg-6 Decyltetradeceth-30, Polyquaternium-7, Sodium Hyaluronate, Mentha Piperita (Peppermint), Di-C12-18 Alkyl Dimonium Chloride, Disodium Phosphate, Sodium Salicylate, Sodium Citrate, Phenoxyethanol, Chloroxylenol. Good but not the best in the lab series rage. I have been using various products in the lab series rage. I would say this is not there best product unlike there superb all in one moisturiser which I highly recommend. I suffer from acne and oily skin but I found this product does not laver up well enough for a foam based face wash. You can defiantly feel and smell the anti bacteria on your skin. But I think there are better products out there for better value e.g Anthony cleanser. But other lab series products you have to try because they are fantastic like there moisturisers and eye lift creams. This is a great foaming wash that leaves your skin deep cleansed and squeaky clean, without a tight, dry feeling. Highly recommended for anyone like me who is prone to stubborn spots. I would say that as a rule Lab Series is a superb brand. I have never been disappointed by a product from them. This product is a nice change from gels, it gets rid of all oil, and leaves your skin feeling superb. I would recommend to go along with this product the Lab Series invigorating face scrub, and the SPF 15 moisturiser. An excellent cleanser. It certainly clears any spots and even dramatically reduces blackheads. The smell is a little "clinical" though and seems to linger around for a fair while. Lab Series have added fragrance to a couple of their other products, and I feel they should have with this one as well. Other than the smell, it's excellent.-- update -- I've strayed a couple of times over the past 6 months but have always returned to this cleanser as it simply performs. 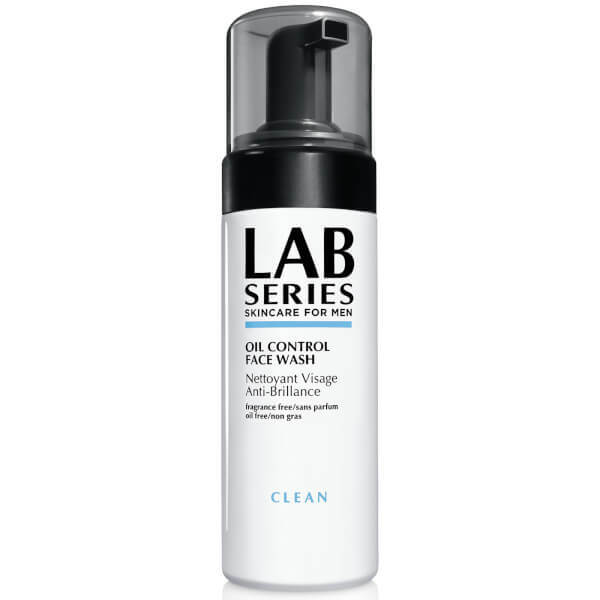 I do like the Multi Action face wash by Lab Series as well (actually, I've tried all the Lab Series cleansing products and they all deliver), but I actually find this cleanser to be the most gentle of them all. My skin has a really nice glow after using this! Well I have oily skin that is quite hard to control and since using this product its kept my at bay for most of the day. however after using it I do find my cheek area is a little pink.The smell has a slight soapy mint smell which I actually quite like and it doesnt linger through the day. Cleans the skin very well. I think the product smells nice in a strange way. Tried this wash for three weeks. Cleared up my chin and above the lip area, gently exfoliating dead cells. But found it made my cheeks red, and had breakouts in unusual places on my face. I'm a fan of Lab Series. Have been since as long as I can remember. I've also always had very oily skin since I turned 13. 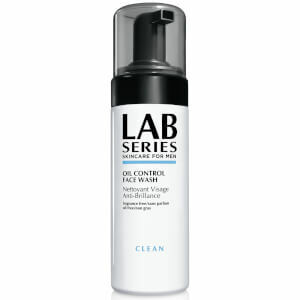 The Invigorating Face Scrub from Lab Series is quite possibly the best male grooming product I've ever used. I thought this would be even better for me, but unfortunately, it dried out my oily skin a little too much, and was a little difficult to use...it comes out of the tube as a very light, airy foam (not as a liquid or gel that foams when you rub it on your face), meaning it kinda feels like it's difficult to actually massage onto the skin. So also felt like it didn't fully achieve its goal of cleaning my skin as I wasn't able to apply it properly. I say, even if you have oily skin, stick to their Invigorating Face Scrub - my face always feels clean, exfoliated, and oil and blemish free after using that one. I really disliked the foam consistency and just failed to get used to it - I never got that feeling that it was ever doing anything to my skin. I didn't notice any reduction in my breakouts or oiliness of my skin. The product is great... although using a very light foam takes some getting used to compared to other face washes that are gel or cream-based. I really like the fact that there is salicylic acid (works NICELY!) in this product, and you CAN see a difference in your skin when done washing. Glowing, radiant skin for sure! I will give it four stars, not five because of the smell. While the product works, the smell is VERY medicinal and heavy. If it were more fresh smelling, it would be ideal! Smells like a box of Band-Aids!